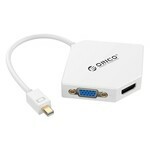 With this full HD Mini DisplayPort adapter you can convert your Mini DP to an HDMI, DVI or VGA input. 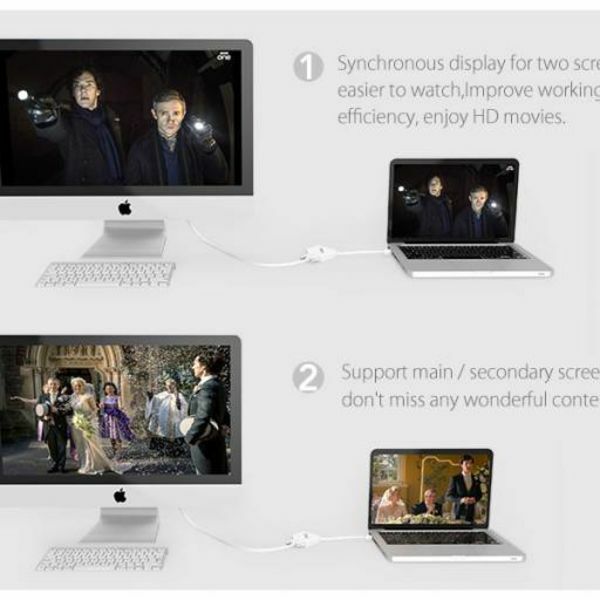 Do you want to connect an extra monitor to your Mac but you do not have the right connection? 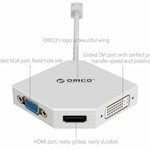 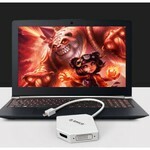 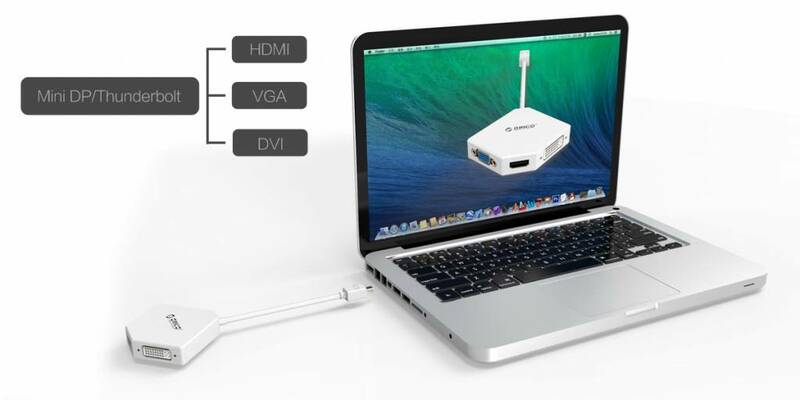 This Mini DisplayPort to HDMI / DVI / VGA adapter solves your problem! With this Full HD adapter you can convert your mini DisplayPort to an HDMI / DVI / VGA connection. 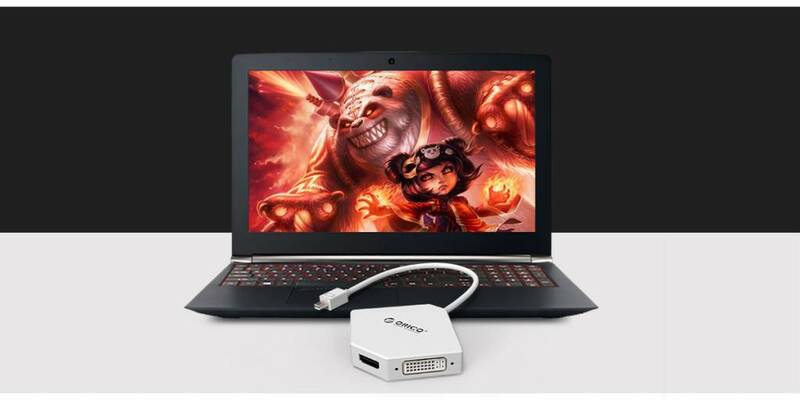 Connect the adapter to your Mini DisplayPort video source and connect your HDMI / DVI / VGA cable to your monitor. 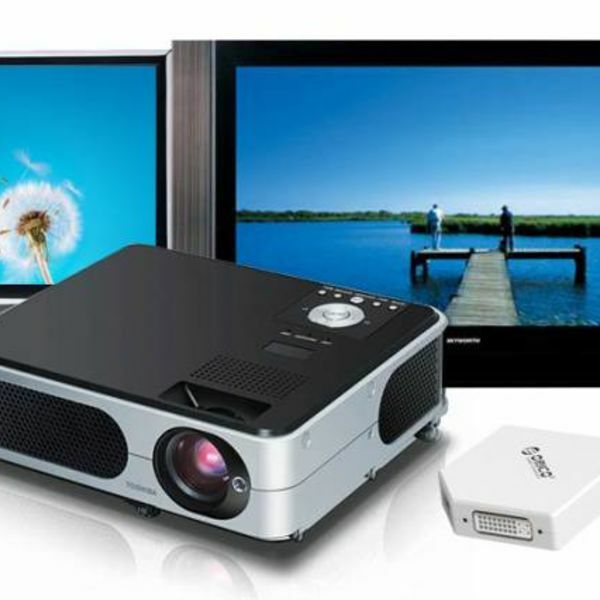 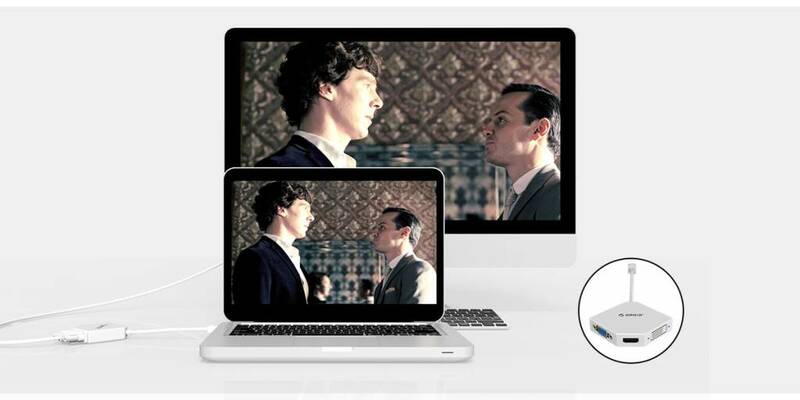 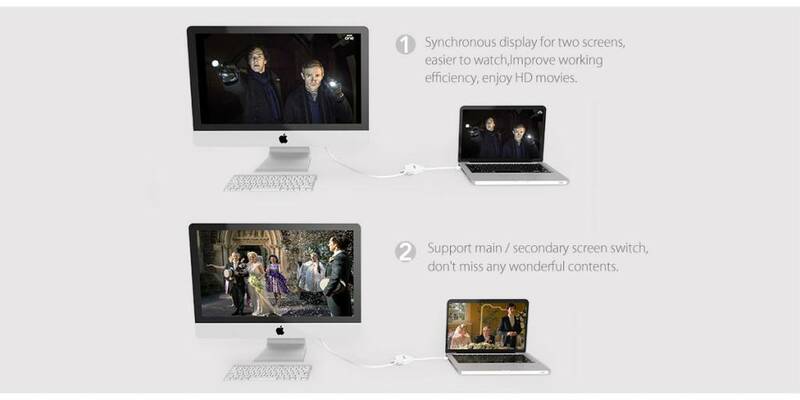 For example, you can connect your MacBook (Air, Pro, iMac, Mac Mini and Mac Pro) to a second monitor, smart TV, projecter, beamer, etc. 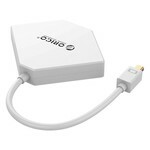 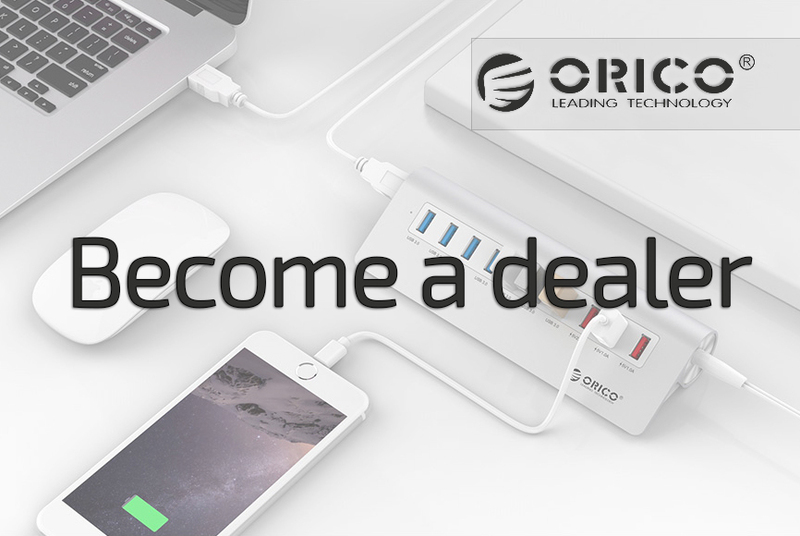 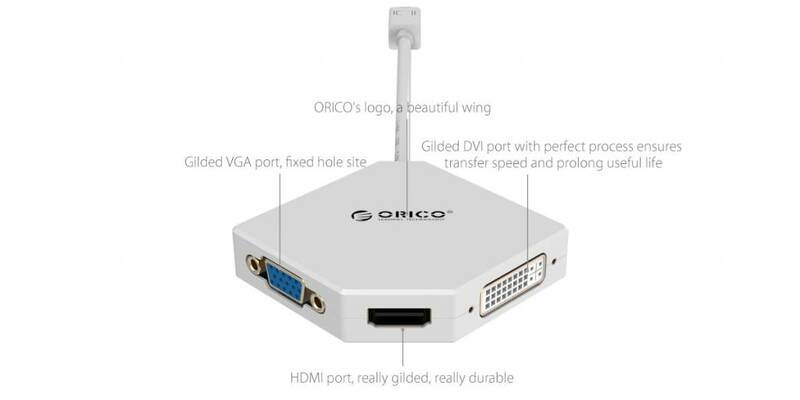 Connect your smart TV, beamer or other external displays to your MacBook with this high-quality Mini DisplayPort to HDMI / DVI / VGA female adapter and benefit from a pure digital connection. 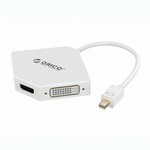 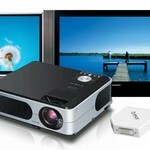 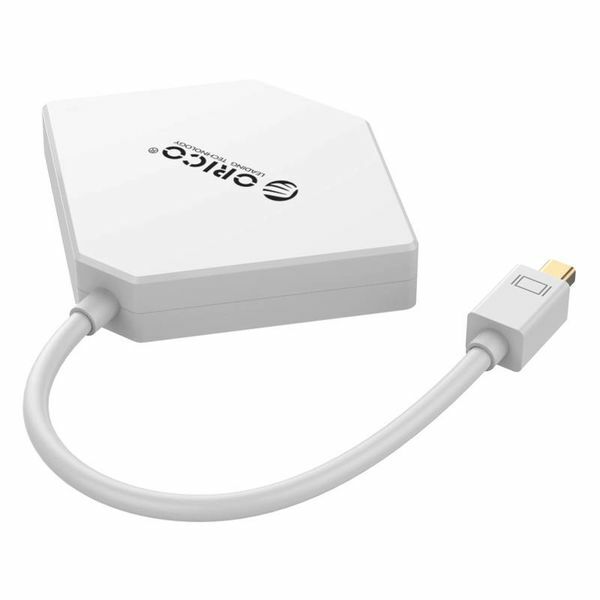 This Mini DisplayPort adapter offers crystal clear picture quality and supports HDTV resolutions up to 1080p. 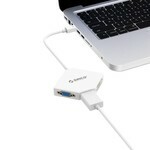 This adapter also supports the transfer of audio. 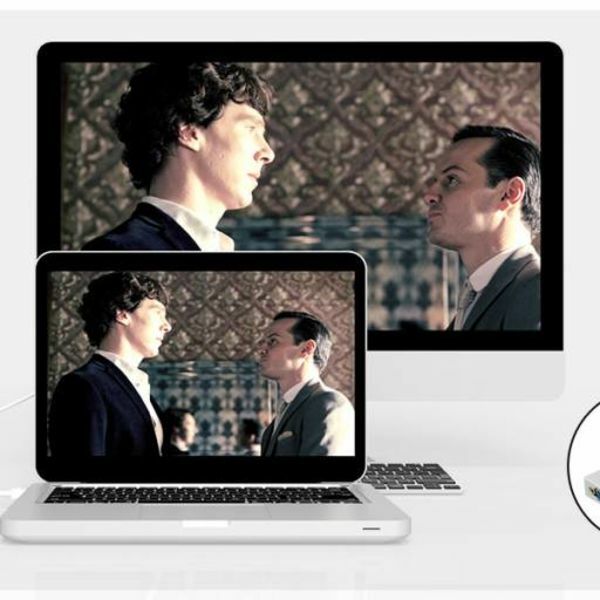 View at the bottom of the page if your device is suitable for this function. This Mini DisplayPort to HDMI adapter is compatible with Windows, Mac OS V9.0 and other popular operating systems. 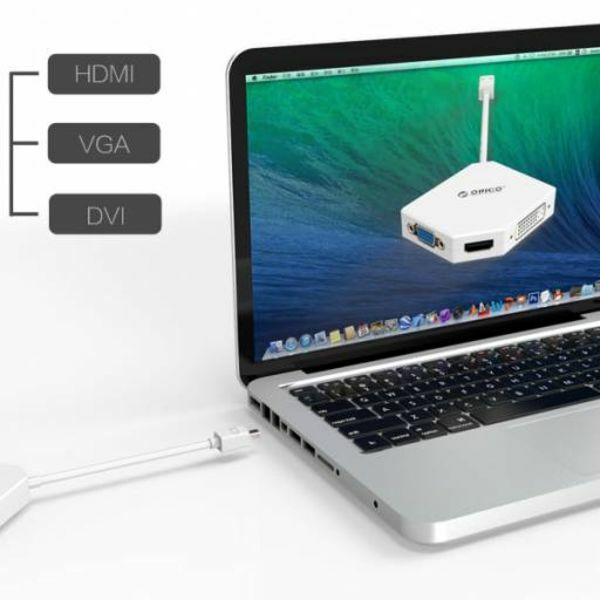 Apple Imac, Mac Mini, Mac Pro, MacBook, Pro and Air through 2009 only support video signal via Mini DisplayPort.